Home Automation is the wave of the future…and it is here, in full force, now. We have identified the best security systems for home automation to help you select the home automation system that will make your home the technological envy of your neighborhood. Our Top Home Automation Security Companies deliver the latest home automation features combined with best in class professional monitoring that will keep your home and family safe and secure. Each of our top security and home automation companies has something special to offer. So, depending on whether your priority is to minimize up front costs, get the best customer service, or find the most technology bang for the buck- one of our top home automation and alarm companies is sure to meet your needs. Ever wish you could start the coffee pot from the comfort of your bed…or turn on the slow cooker from the office? Well, with the latest home automation systems, you can control almost anything that is connected to outlets that are controlled by your system. Security systems equipped with home energy management capabilities will let you control the temperature right through the system. You can control and automate heating and cooling systems to optimize efficiency and save on energy costs. Crank the heat up from your mobile app and never come home to a cold house again. Home automation systems even let you lock and unlock doors remotely from your mobile app. Forget to lock your door or need to let someone in while you are away? No problem..you can control access from your computer or cell phone with the a couple of keystrokes. Many of the top alarm companies can support systems that enable you to control the system through biometric voice recognition. Now you can tell your security and home automation system to turn lights on or off and control temperature settings as well. Ever wonder if you remembered to close the garage door? Now you can check your security system from the office or the comfort of your bedroom. No need to stress….just pull up your Mobile App and you can control it from anywhere in the world. Exceptional Equipment and Monitoring Capabilities – Vivint alarm systems include the Vivint Sky touchscreen panel which controls the latest Z-wave home automation devices. From small appliance and lighting, to door locks and home energy management technologies…Vivint has you covered. They combine this with full featured monitoring that incorporates capabilities which include: Crash and Smash Protection, Geo Location Services…as well as 2-way voice supervision. Vivint offers one of the most comprehensive security and home automation programs in the business. They provide state of the art hardware, which is professionally installed, and competitive monitoring packages. In addition, Vivint features all the latest interactive solutions such as Crash and Smash protection and 2-way voice authentication. Protect America trumps most of the competition by minimizing up-front costs. This is often a major obstacle for homeowners who are looking for the latest in security and home automation…but, don’t have a lot of money to sink into expensive hardware. $0 Up Front Fees – Protect America makes it easy to get the latest in security and home automation technology. Their packages include up to $1400 in security and home automation equipment without expensive up-front costs! Inexpensive Basic Monitoring Rates– If you’re on a tight budget, or do not require many of the bells and whistles, Protect America features monitoring prices for as little as $19.99 /mo. You can start with the basics…and upgrade to full home automation in the future. Lifetime Equipment Warranty – As long as you are a Protect America customer, ypu’ll enjoy a lifetime warranty on yyour security equipment. Rate Lock – Protect America locks in your rate so you will never pay more for the level of service you signed up for. 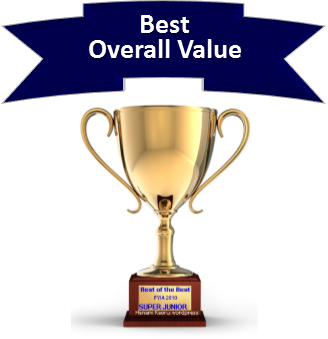 Best Price Guarantee – Buy with confidence as Protect America will meet or beat any identical offer. 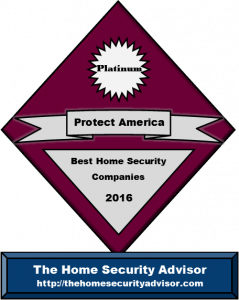 Protect America offers everything from basic security to some of the most advanced home automation technologies…and makes it affordable to equip your home with the latest in home automation features. When it comes to home automation, Protect America makes it affordable for almost any budget! 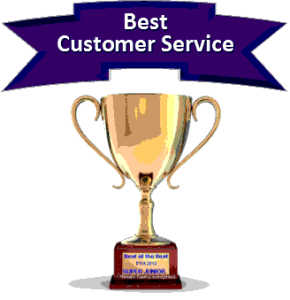 Outstanding Customer Experience– While many providers manage to attain an A or A+ BBB rating…there seem to be only a only a few consistently exceed customer expectations like Frontpoint. That is why 94% of their buyers say that they would definitely recommend them to friends and family. They believe in transparency and a low pressure sales, consultative approach. They don’t insist on locking you in for 5 years. Frontpoint is flexible. They offer both a one and three year alternative. 100% Wireless- Frontpoint provides wireless GE and Qolsys equipment using 100% cellular monitoring. This eliminates the potential for cutting the telephone or cable lines to disable transmission to the monitoring center. Superior Equipment and Monitoring Capabilities – Frontpoint delivers technologically advanced home automation and security solutions as part of the Interactive monitoring services. Powered by Alarm.com, Frontpoint solutions incorporate “Crash and Smash” protection as well as Geo-Location Solutions. The first one makes sure that monitoring company will be notified even though the system is destroyed…and the second makes it possible for innovative system automation capability dependent on GPS cellular locations. Transparency and Integrity– Unlike many security web sites, Frontpoint’s site makes sure rates are clear-and there aren’t any tricks or hidden charges. These folks are so very certain that they feature the most effective home alarm system out there that they’ll back it by their No Hassle Thirty Day Money-back Guarantee- without any shipping charges (either way) without any restocking charge! 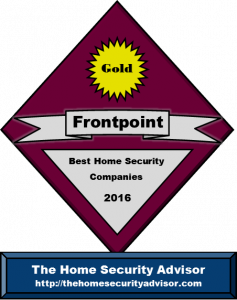 Frontpoint delivers exceptional customer support as well as one of the finest Do-it-yourself security and home automation alarm solutions in the marketplace. They back your equipment using a 30 Day Full Money Back Guarantee and offer a complete equipment selection that features surveillance cameras as well as energy management.